We are sharing questions of GENERAL AWARENESS which were asked in SSC CHSL 2016 exam, SSC CHSL 2016 exam was taken in January 2017 on various days in multiple shifts. This PDF book is a set of all questions of GA SSC CHSL 2017. 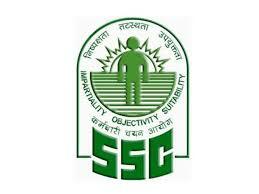 Click here to download GENERAL AWARENESS asked in SSC CHSL 2016 exam. Click here to download GENERAL AWARENESS asked in SSC CGL 2017 Tier-1 exam.